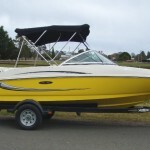 A Family Special!! 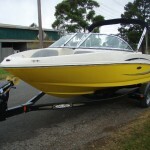 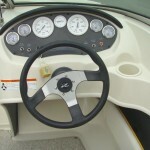 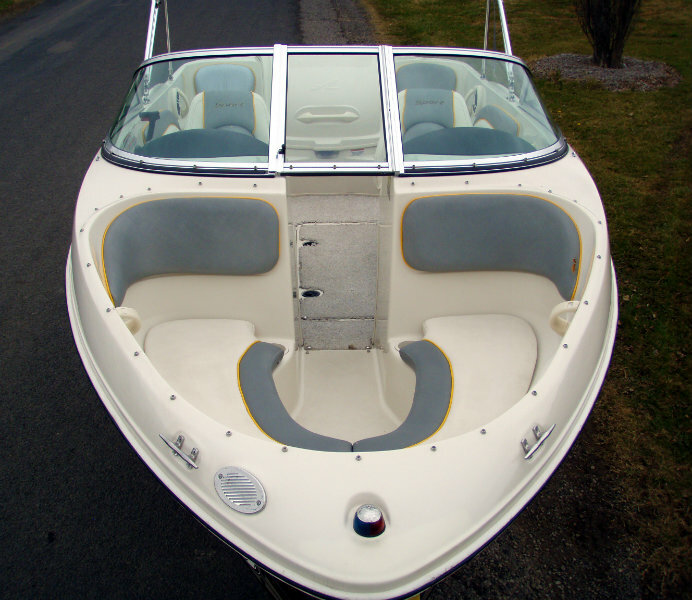 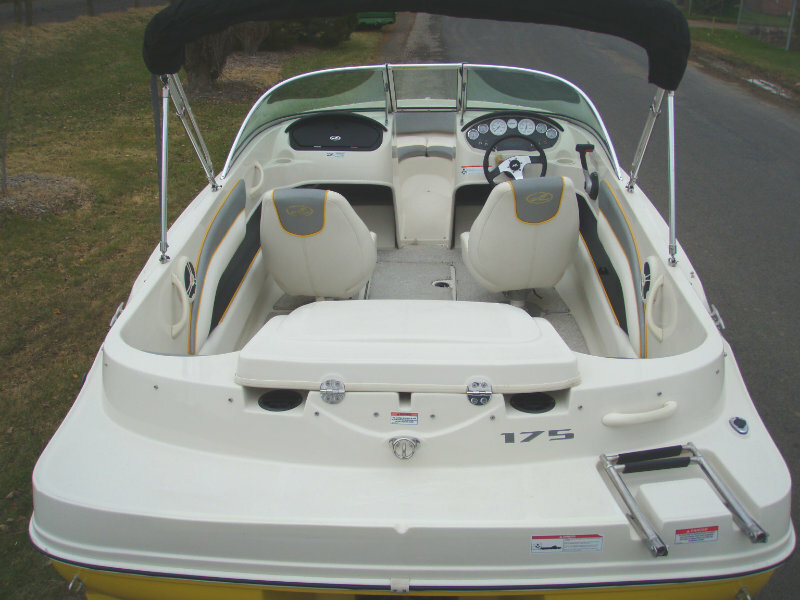 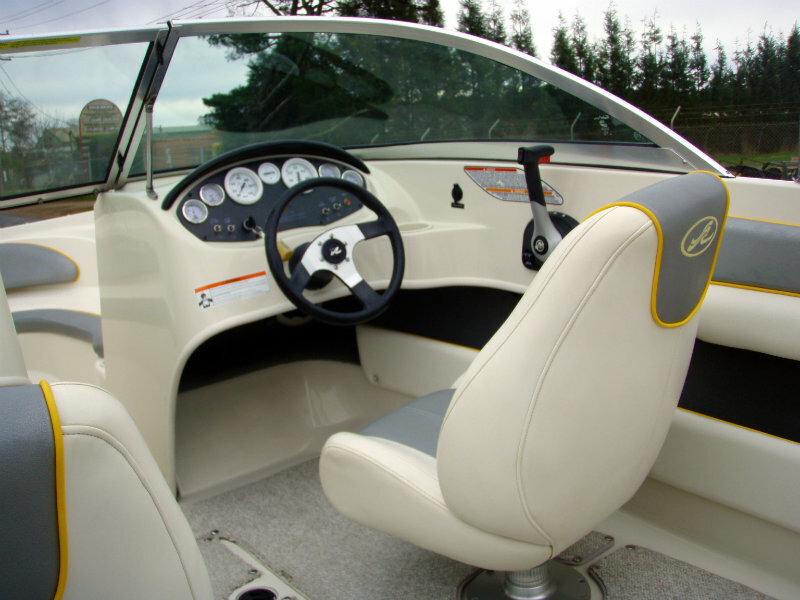 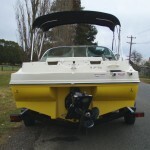 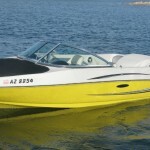 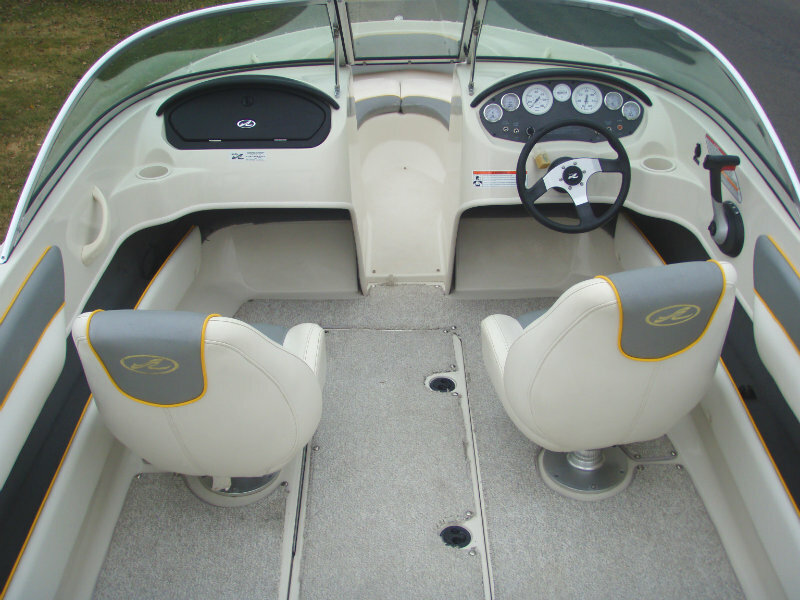 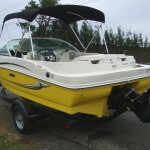 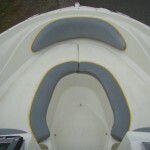 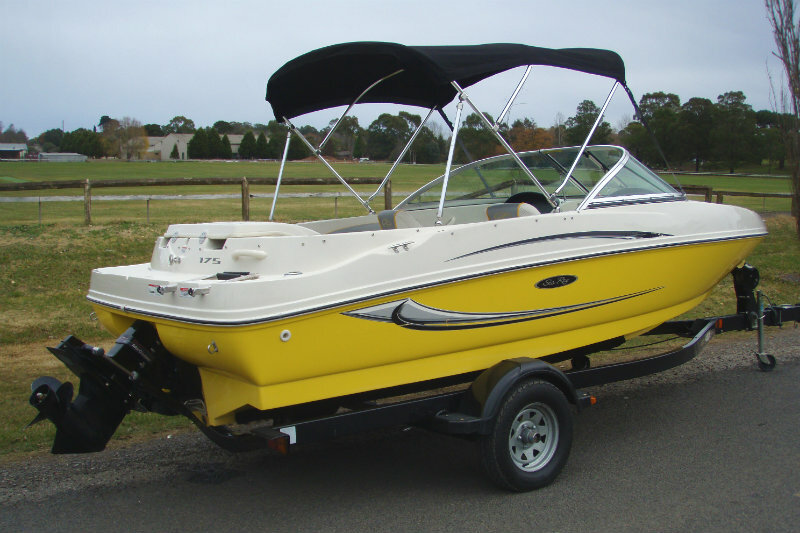 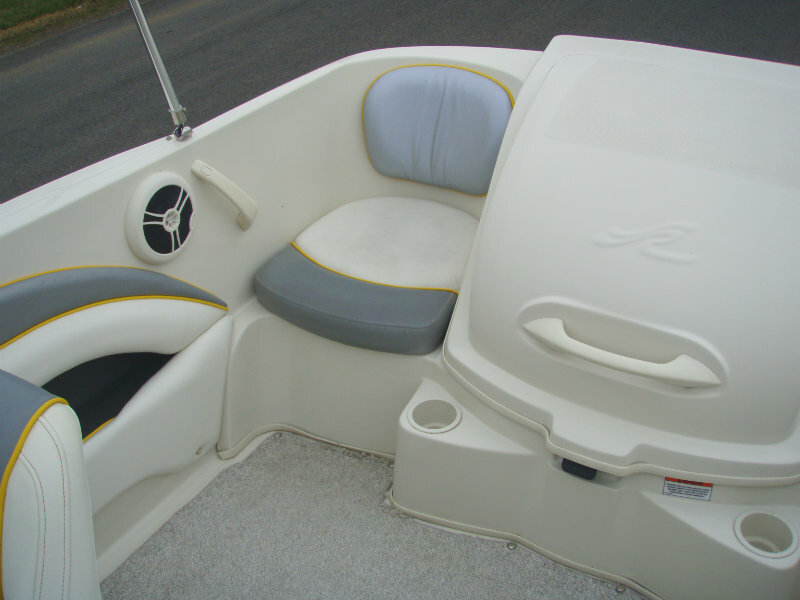 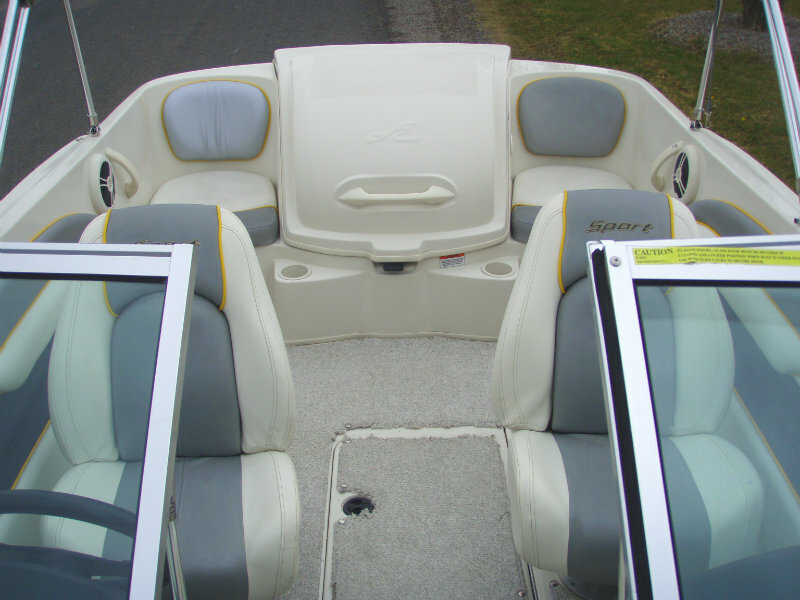 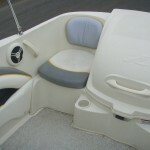 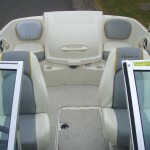 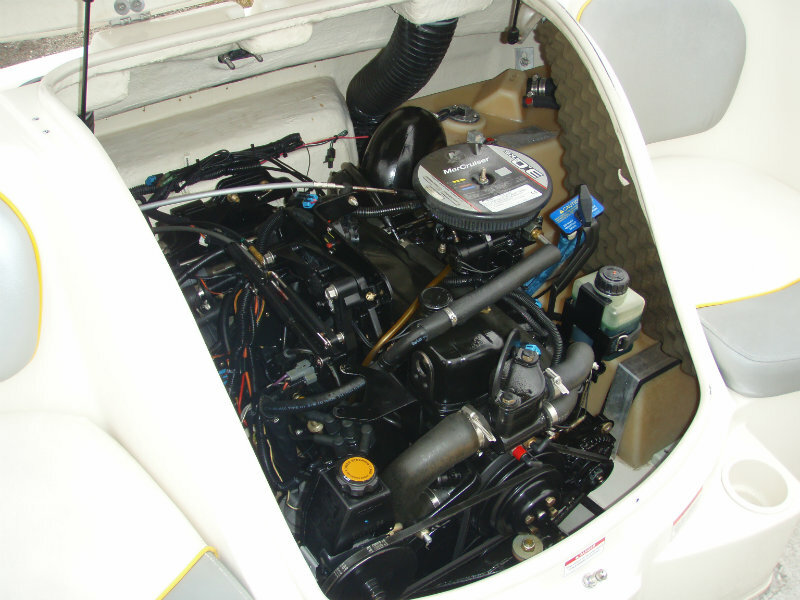 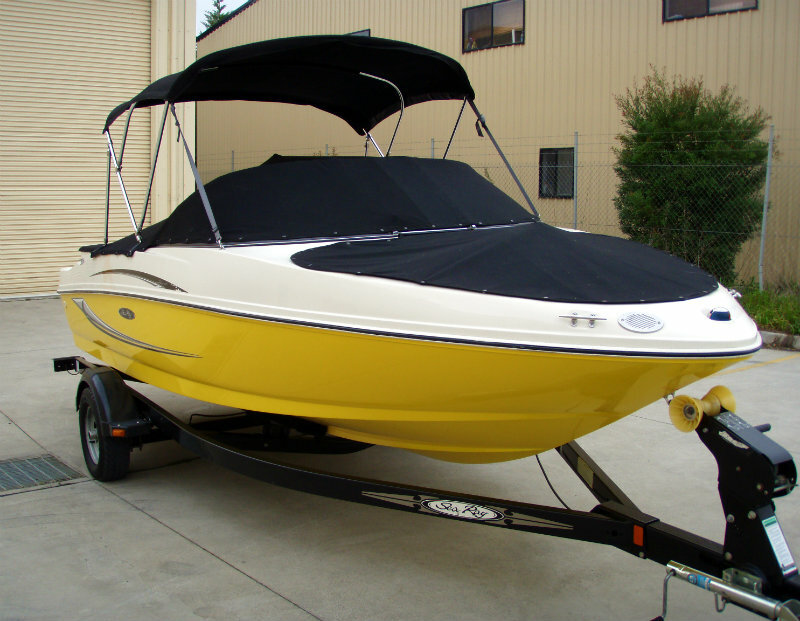 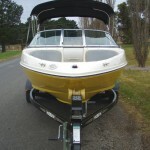 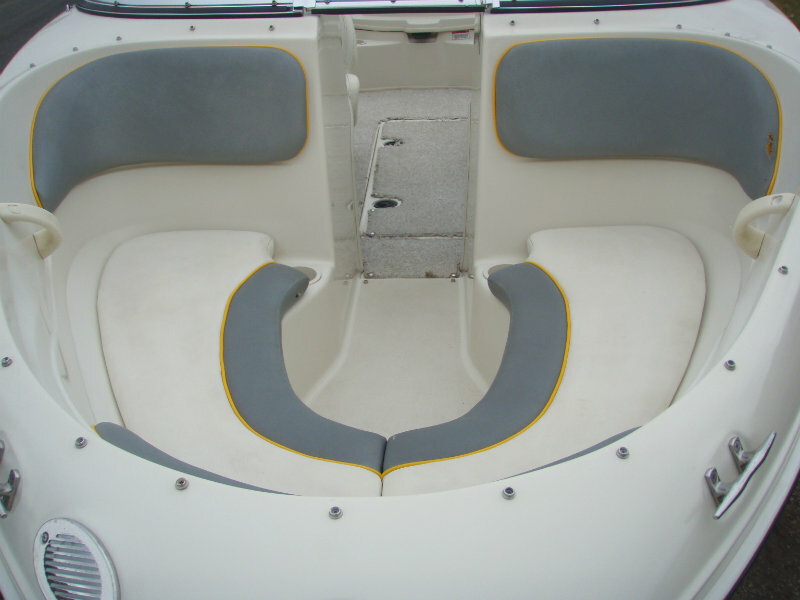 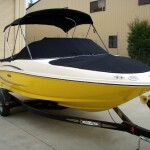 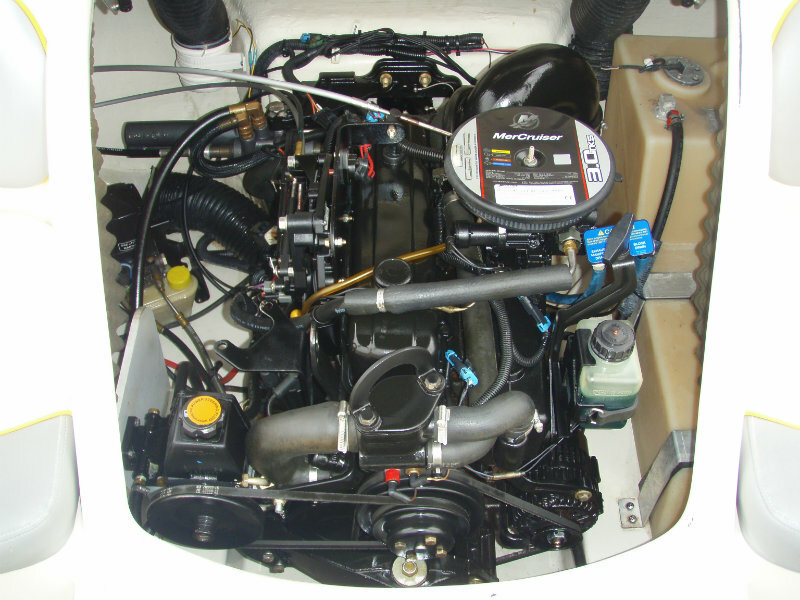 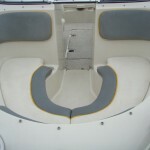 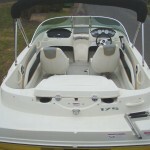 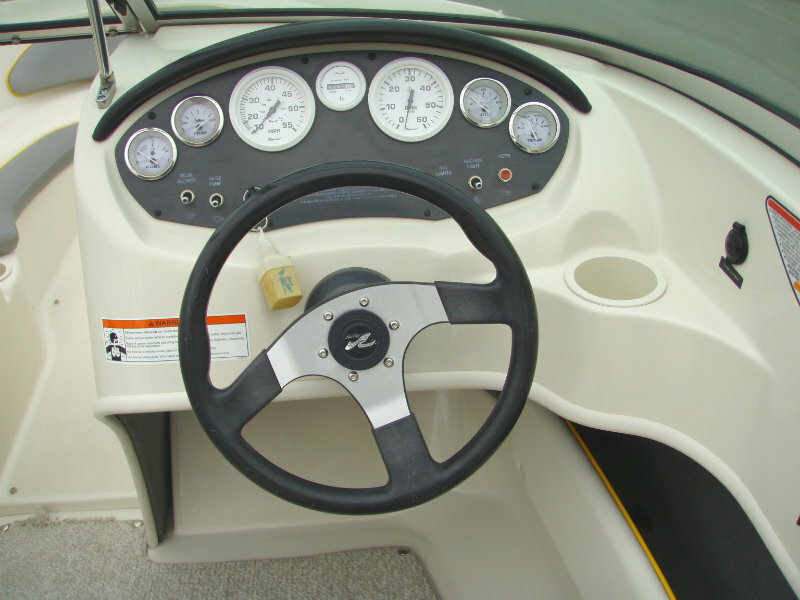 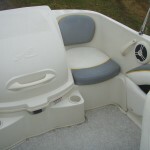 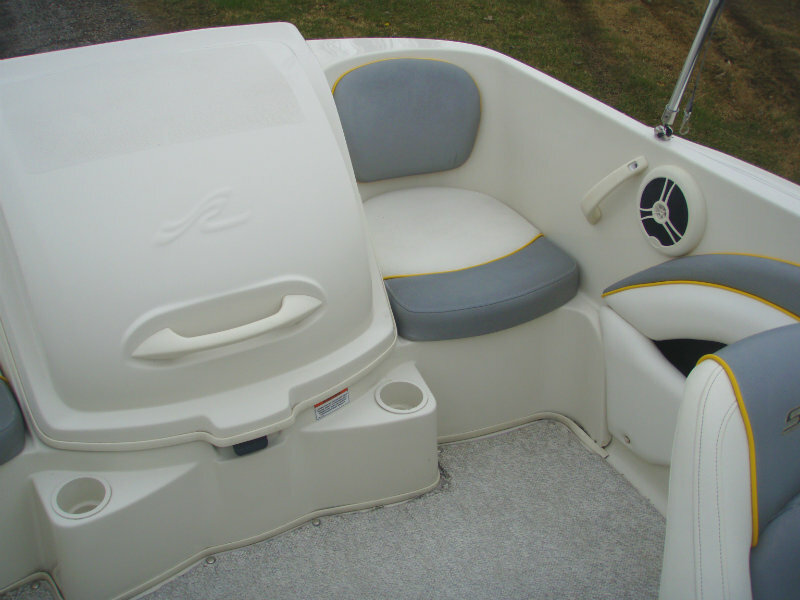 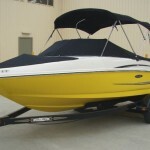 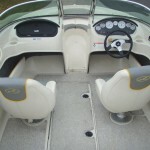 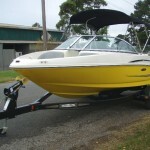 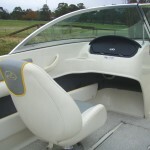 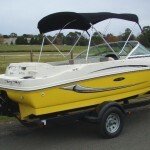 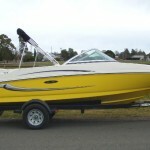 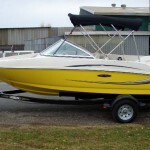 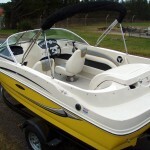 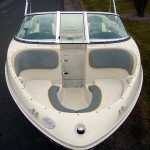 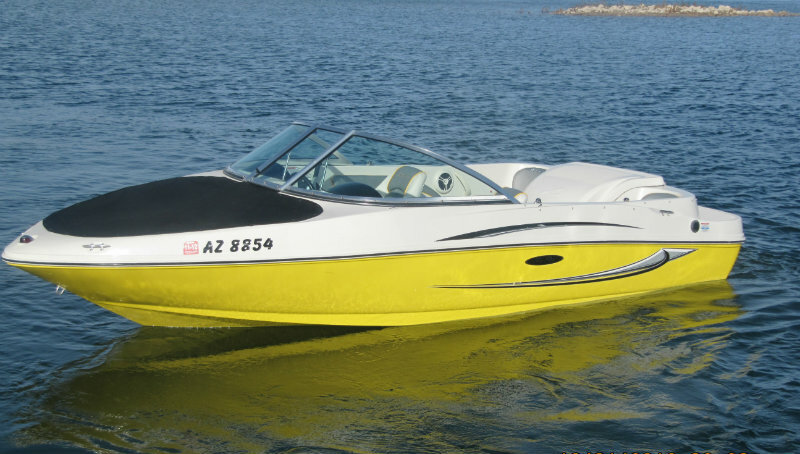 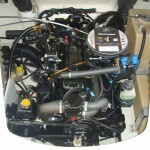 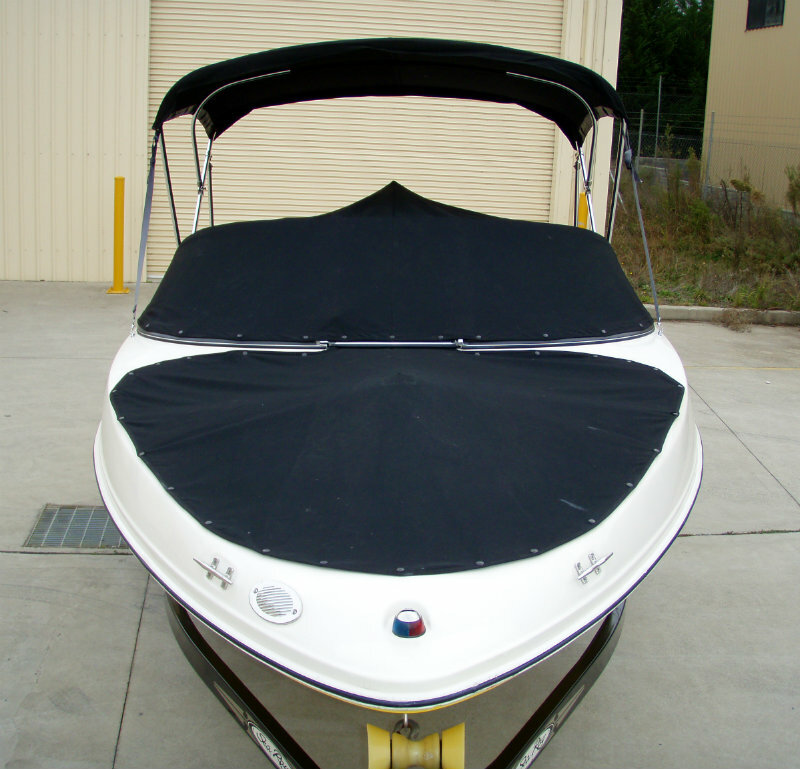 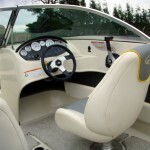 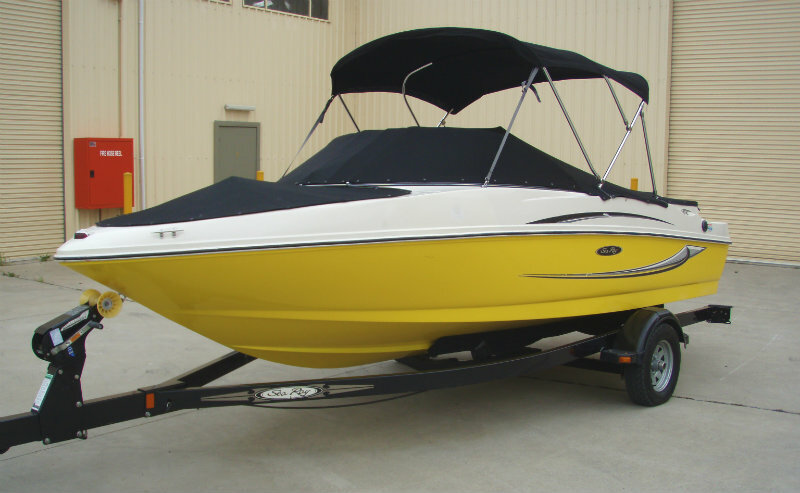 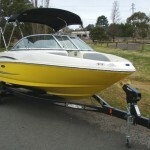 2008 Sea Ray 175 Sport Runabout powered by a 3.0L 4-cyl 135hp Mercruiser, with a Alpha One leg sterndrive, and FRESHWATER use only. 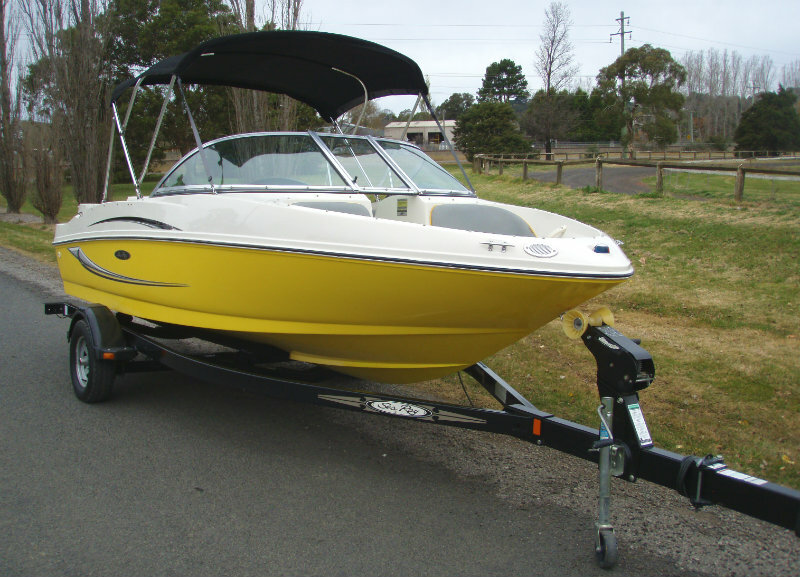 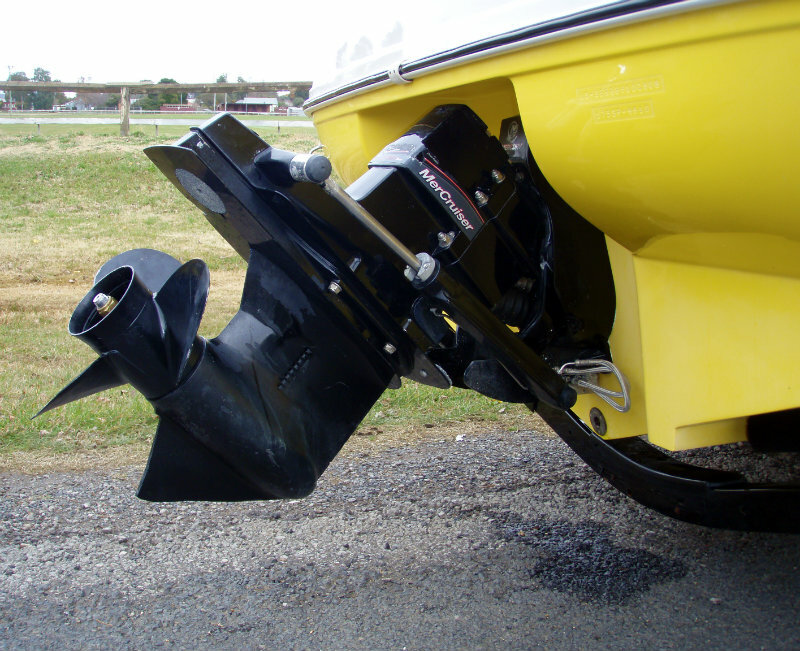 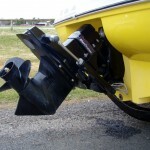 It’s big enough for your whole family and all its gear, but still small enough for easy towing and handling. 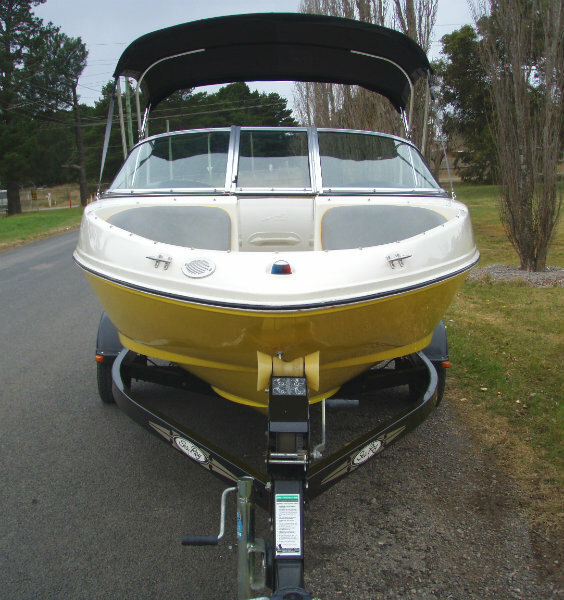 The Sea Ray 175 Sport is one of those value-for-money boats and, and is pretty good value to the buyer looking for a family bowrider from which to ski and which won’t break the bank at the fuel bowser. 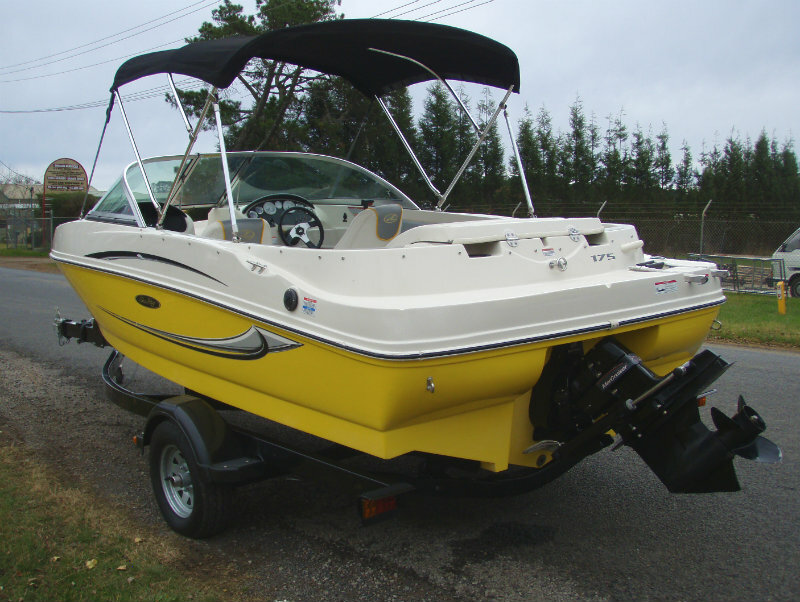 It’s fitted with an economical four-cylinder 3lt petrol engine generating 135hp and with an overall weight of around 1200kg, the family six-cylinder car can stay in the garage rather than be traded up to do the towing. 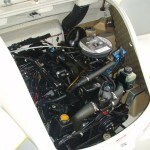 A big four-cylinder family sedan might well get the job done also. 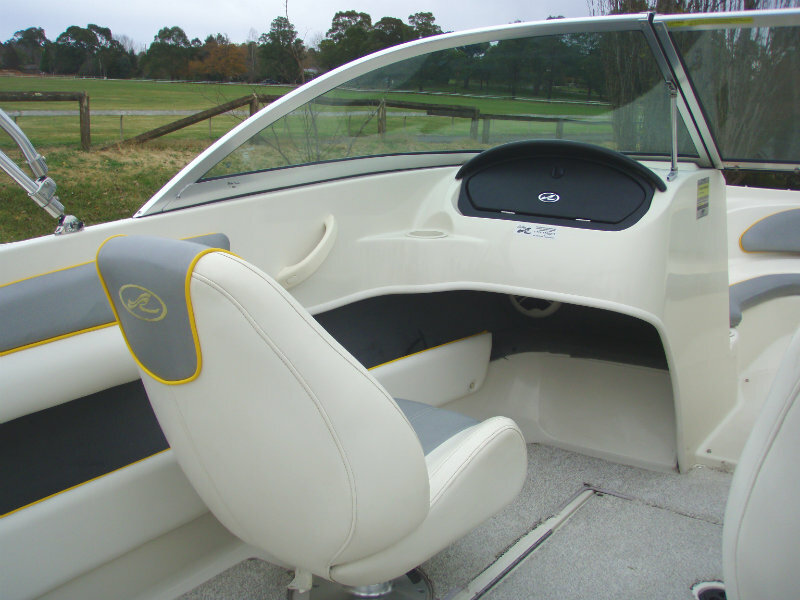 Out on the water, the engine will rev out to 4800rpm with the speedometer reading upto 48mph which converts to just over 77kmh. 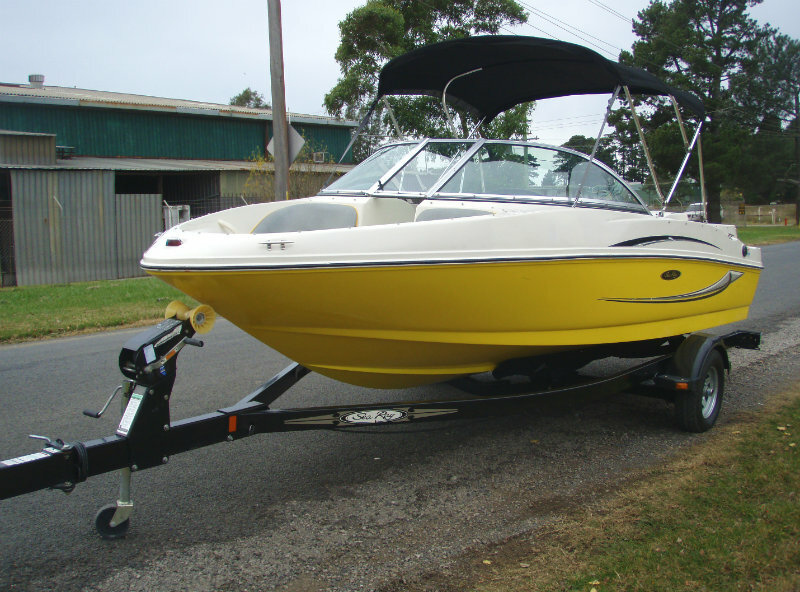 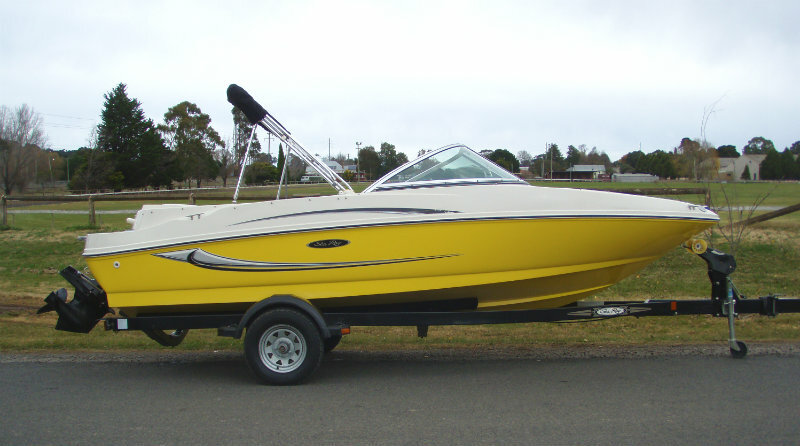 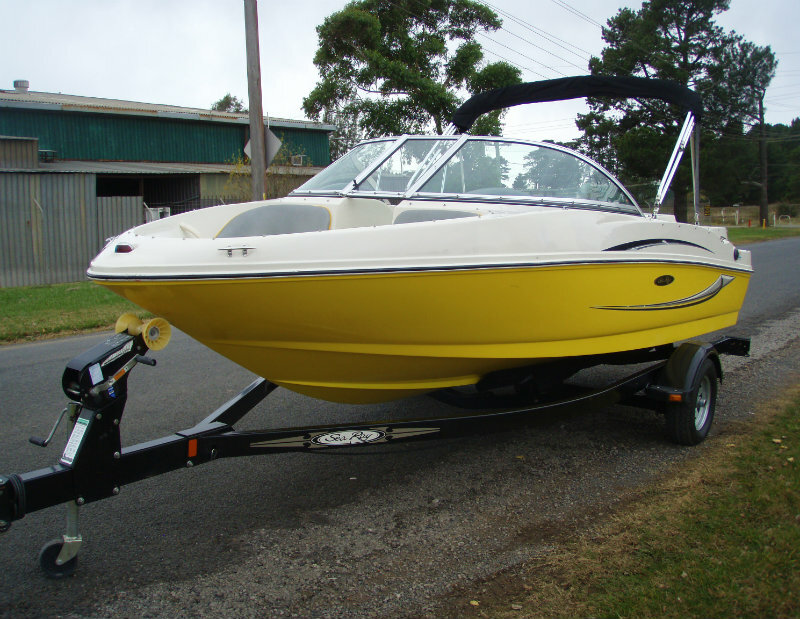 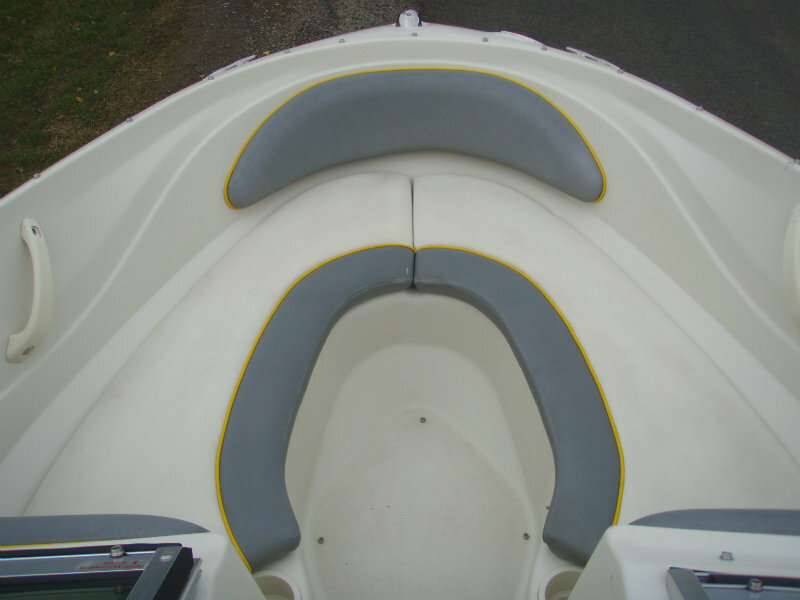 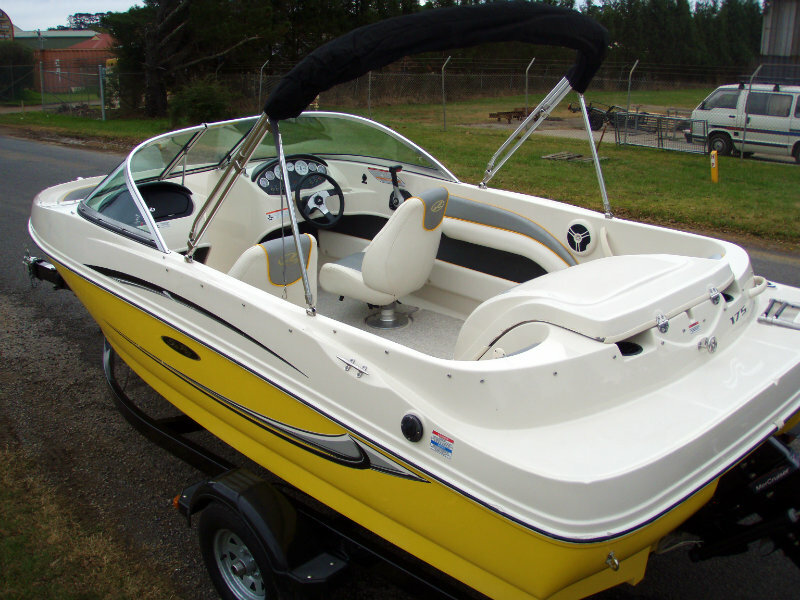 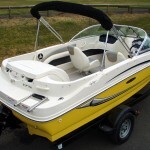 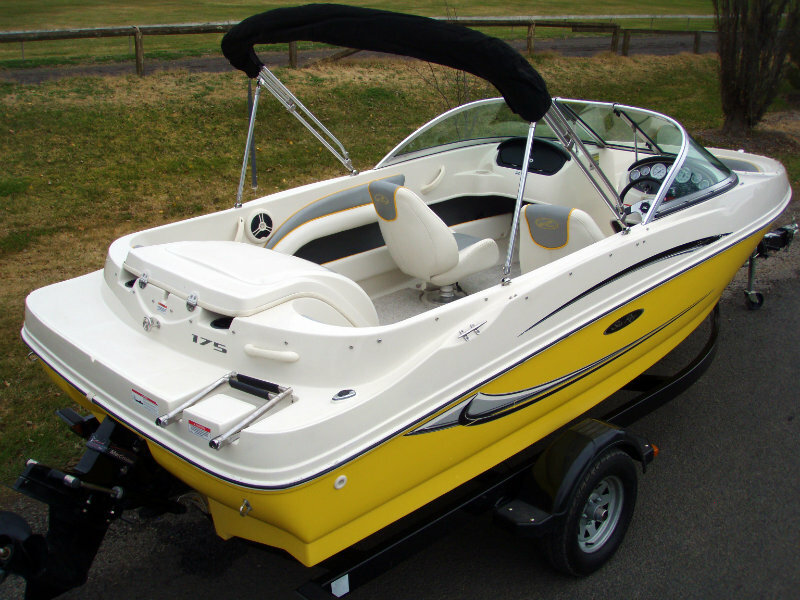 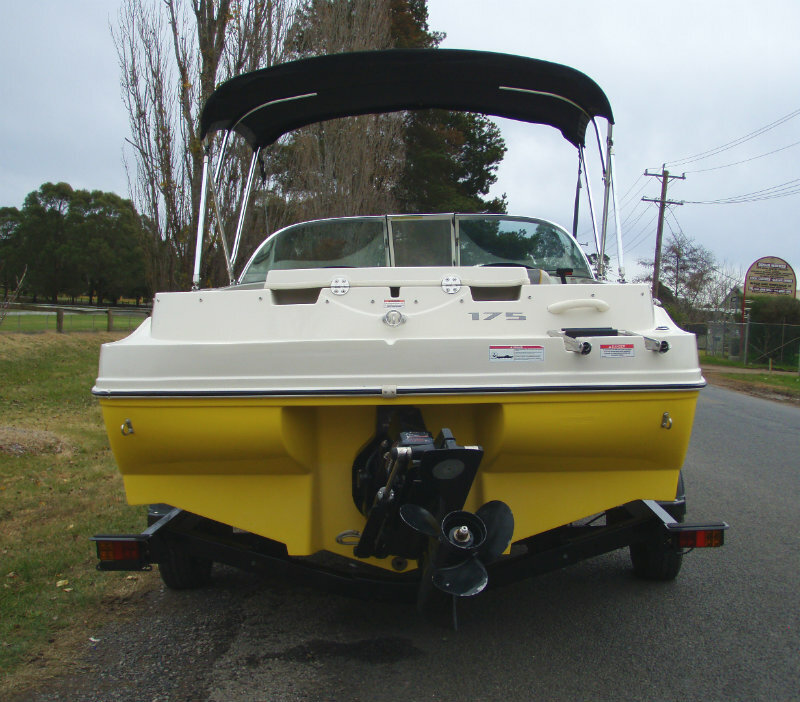 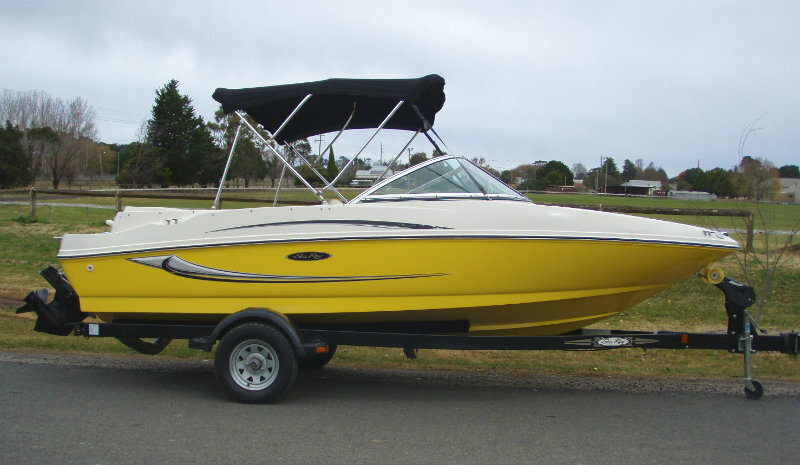 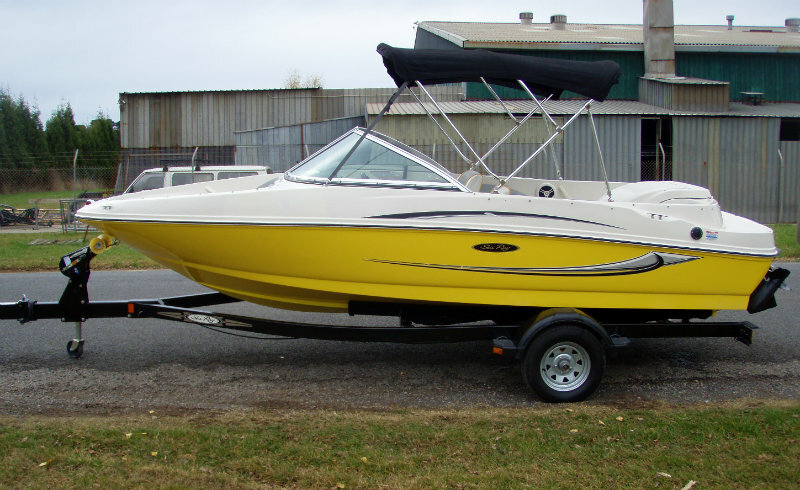 Just serviced in our workshop and ready for the season ahead, this 175 Sport is in good condition and is certainly excellent value for money for the warmer months ahead.